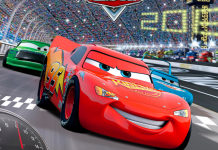 Disney announce ‘Cars 3’ cinema release date! Disney have announced when we'll be able to watch Cars 3 in cinemas. Cars was released in 2006 and it was huge success all around the world.